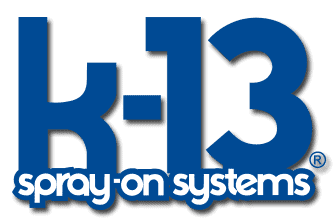 • Numbered terminal block makes finding and troubleshooting a problem much quicker. Wiring diagram is much simpler to follow. For the contractor who needs autonomous installation capabilities. 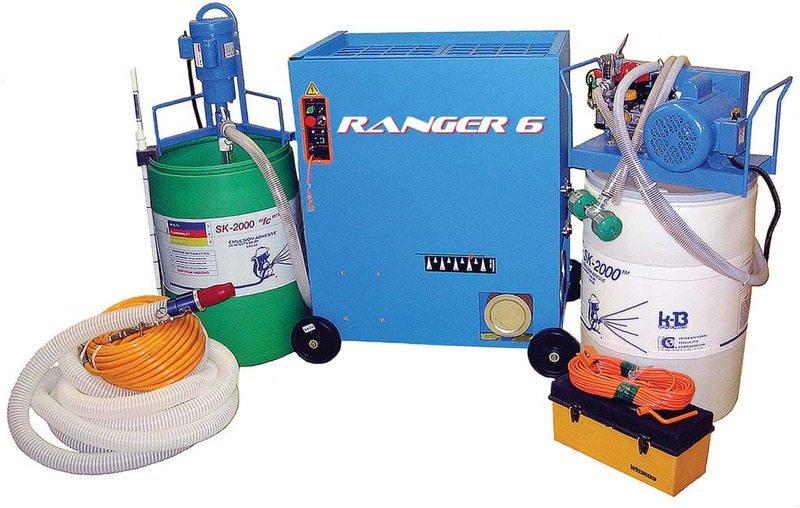 The Ranger 6 spray machine, adhesive pump, hose reel and diesel generator are mounted in a heavy-duty tandem axle trailer. The trailer has lockable storage and access compartments, three stabilizer legs, and DOT approved running lights. 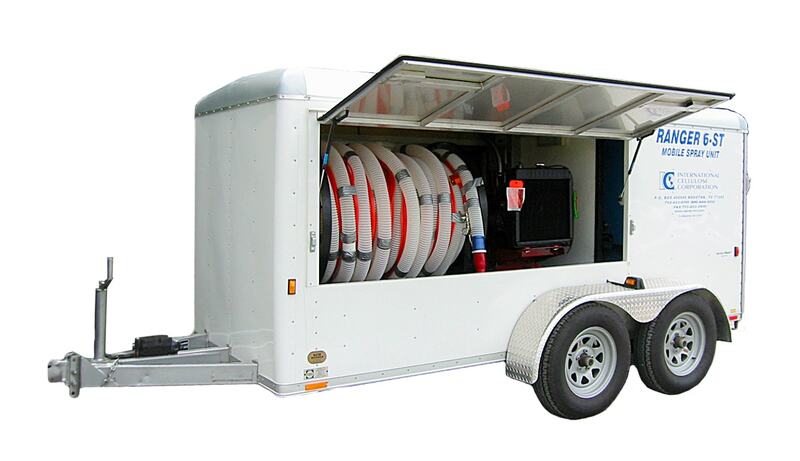 The complete Ranger 6 mobile system is mounted in a heavy duty tandem axle trailer. Open the doors, roll out the hose from the electric powered hose reel, push the button on the electric start generator and you are spraying in less than 15 minutes. Your 15 kw water cooled diesel generator provides all the power needed to operate the Ranger 6 system. Eliminate costly downtime due to power supply. Run your project on your own schedule, three shifts a day, seven days a week. Your spray equipment is always together, ready to work at a moments notice. All equipment is accessible for easy maintenance through large lockable access doors. Ample space exists for equipment and spare parts.